The newest addition to the inReach line. 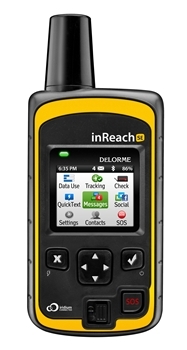 Delorme has announced the inReach SE – two way satellite communciation with a virtual keyboard and color display so that you can easily send and receive text messages, connect to Twitter and Facebook and more. Click HERE for more information! Furuno’s Spring 2013 MASSIVE rebate event is now in progress! Save up to $4,000.00 on qualifying Furuno products with their MASSIVE rebate event.